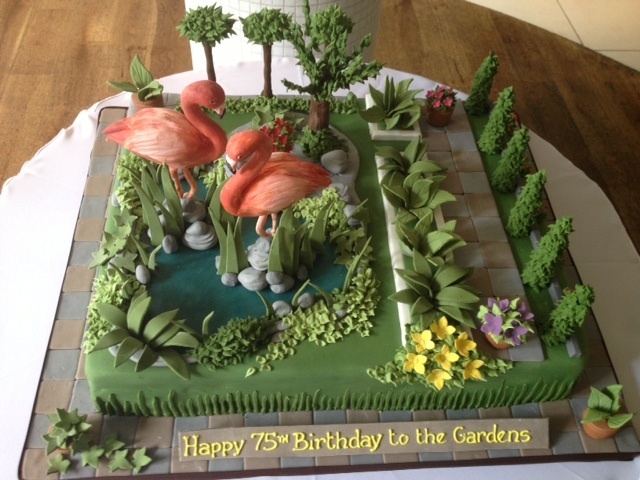 Kensington Roof Gardens were celebrating 75 years of their fabulous aerial Central London oasis being in existence and what better way to celebrate than a Cakes by Robin flamingo cake extravaganza! I am a bit obsessed with flamingos and for those of you who don’t know, there are four resident flamingos at the Roof Gardens and so it was only fair that they were represented on the flamingo cake. People often ask how we create a cake so I thought I’d take a few pictures of the construction process. 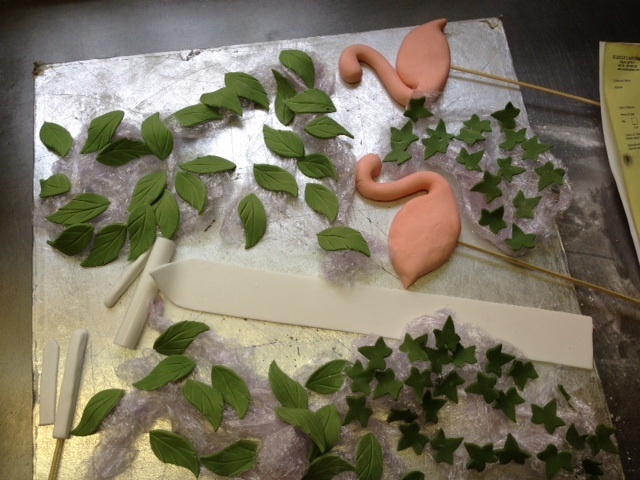 We designed the cake based on the two main garden areas at the Roof Gardens and so there was a lot of foliage and flower action in addition to my favourite pink birds.